Claribelle Snyder (1895-1981) married Ralph Leo Shanower (1895-1979), my great-great uncle, on September 1, 1923, thus becoming my great-great aunt. She had been born in Bucyrus, Crawford County, Ohio, on January 16, 1895. The US Social Security Death Index gives an alternate birth date of January 15, one day earlier. Claribelle and Ralph Shanower lived in Chesterland, Geauga County, Ohio, where he ran a service station for more than forty years. On September 18, 1925, the following Nut Bread recipe of hers was published in an unidentified newspaper. I suspect the newspaper was from the area around Chesterland, maybe a Geauga County paper; maybe the Painesville Telegraph in Lake County, Ohio; or maybe even the Cleveland Plain Dealer in Cuyahoga County. Take 1 cup white sugar, 1 tablespoon butter, 1 egg well beaten, 1 teaspoon salt, 2 cups milk, 4 cups flour, 4 teaspoons baking powder, 1 cup chopped walnut meats. Cream butter and sugar, add egg. Sift flour and salt twice and add milk and flour alternately. Add baking powder in last half cup of flour, last add nut meats. Put in well greased bread pan, let rise one-half hour and bake one hour in moderate oven. Claribelle Snyder Shanower died March 7, 1981, nearly two years after the death of her husband Ralph. I don’t remember ever meeting either of them, although I certainly could have. I don’t have any photos of Claribelle that I know of, but here’s one of Ralph, probably from the 1930s. I hope he enjoyed his wife’s nut bread. 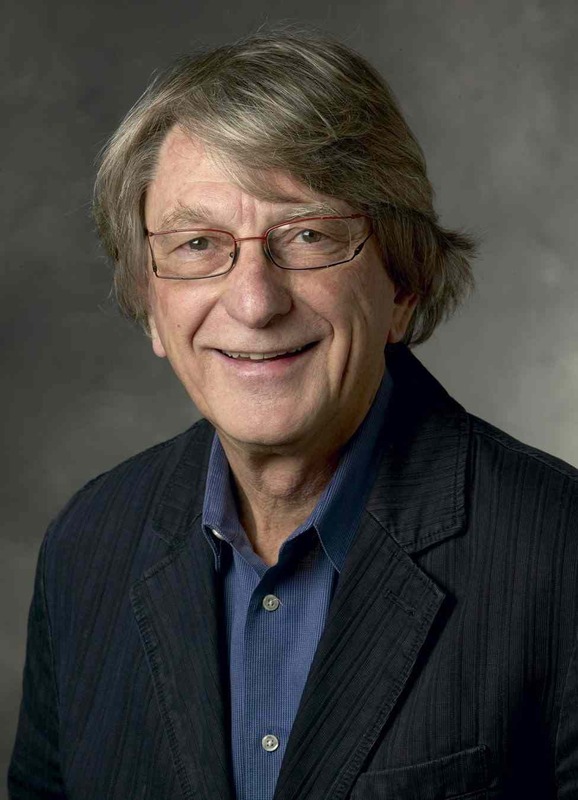 Larry Leifer is Professor of Mechanical Engineering at Stanford University in California. He's also my third cousin once removed. Click here for a YouTube video in which he discusses Design Thinking. The video is nearly 23 minutes long. A second YouTube video—click here—features a lecture that Larry Leifer gave in 2011 at Trinity College, Dublin, Ireland. This lecture, titled "Dancing with Ambiguity," is also about Design Thinking. It's almost an hour and ten minutes long. During the first video Larry talks a little bit about his life and I think it's neat that he met his wife in Switzerland, which is where our ancestors Frederick Leifer (1813-1865) and Catherine Easley Leifer (1818-1892) were born and married before they came to the USA. First Landing of the Pilgrims, 1620. Charles Lucey, 1859, engraver T. Phillibrown. 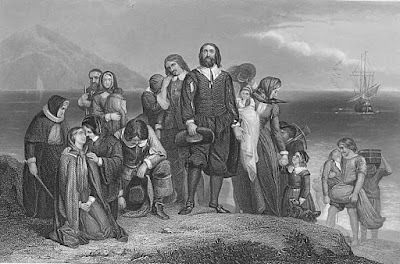 A few months ago I wrote about my possible descent from Mayflower passengers Edward Fuller (abt 1575-1621), his unnamed wife, and their son Samuel Fuller (abt 1608-1683). Click here to read that post. I traced a line of descent down to a Lorin Fuller (born 1798). Then I traced a line of ascent through my paternal grandmother’s line up to a Loring Fuller (1798-1863) and looked at the possibility that Lorin Fuller and Loring Fuller were the same person. I reached the conclusion that they were the same and that I’m a direct descendant of three Mayflower passengers. But that conclusion was based on probabilities. The evidence is not rock solid. Can DNA shed any light? I took a DNA test through the website Ancestry.com. With the results of my test, Ancestry.com provided me with a long list of people whose DNA has portions matching my DNA. — One DNA match claims to be descended from Mayflower passengers Edward Fuller and his wife (name unknown) through their Mayflower passenger son Samuel Fuller. — Seven DNA matches claim to be descended from Mayflower passengers Edward Fuller and his wife through their son Matthew Fuller (abt 1603-1678), who was not a Mayflower passenger, but arrived in North America a few years after the Mayflower landing. — Two DNA matches claim to be descended from Mayflower passenger Samuel Fuller (bef 1580-1633), the brother of Mayflower passenger Edward Fuller. — Two DNA matches claim to be descended from Robert Fuller (abt 1548-bef 1614) and Sarah Dunckhorne Fuller (1558-bef 1584), the parents of Mayflower passenger Edward Fuller, through their other son Thomas Fuller (1573-1659), who seems not to have left England. — One DNA match claims to be descended from Loring Fuller (1798-1863), my great-great-great-great-great-grandfather, but this matching person believes that this Loring is a descendant of Matthew Fuller, son of Mayflower passengers Edward Fuller and his wife. I believe this line of descent from Matthew Fuller to Loring of Ohio to be an error, as I discussed in my previous post on the Fullers. In total those are thirteen DNA matches to people claiming to be descended in one way or another from the family of Mayflower passenger Edward Fuller. There may be others in the list provided to me by Ancestry.com. But so far I haven’t found them. Thirteen seems like a nice pool of evidence to support my line of descent from Edward Fuller. But that pool of evidence might not be as large as it seems. The final match in the list claims descent from Loring Fuller. But Loring Fuller is the weak link in the chain between Mayflower passenger Edward Fuller and me. This is the link I’m hoping this DNA information will strengthen. So I can’t count this DNA match in the pool of evidence. That leaves twelve DNA matches claiming Fuller descent. The results of DNA testing say these people and I are related. But the results don’t tell me how. To figure out how, I have to find our common ancestors. My primary technique so far has been to search their family trees for names that are also on my tree. That technique is subject to error. I haven’t verified that the family trees of these DNA matches are correct. Any of them could have done sloppy research. Any of them could have invalid information. Two of the matches in the list claim descent from Thomas Fuller, brother of Mayflower passenger Edward Fuller. I’ve seen documentation that Edward had a brother Thomas. But Thomas remained in England, and I’ve seen no documentation on Thomas’s descendants. Which of them sailed to North America? I’m not saying that none did, but I haven’t seen evidence. Is this a case of incorrect information on the part of these DNA matches? Actually all of these DNA matches could have incorrect information in their family trees. And I could have incorrect information in my own family tree. I’m judicious in adding names to it, but I don’t have rock solid documentation for every one. So if lots of information is wrong, none of us might be related to the Mayflower Fullers. If I’m not connected to these DNA matches through the Fullers, however, that doesn’t mean we’re not related. It only means we’re connected along other lines. Other lines of connection show up for some of these DNA matches. The first DNA match above, initials W.G., who claims direct descent from Edward Fuller and his wife, also claims descent from John Porter (1594-1648) and Anna White Porter (1600-1647). The Porters are in my family tree, too, as my ten times great-grandparents. So that means my connection to W.G. might be only through the Porters and not through the Fullers. Of the seven DNA matches through Matthew Fuller, two of them have other ancestors in common with me. One, like the W.G. I just discussed, also claims descent from John Porter and Anna White Porter. The other claims descent through Samuel Rider (abt 1601-1679) and Anne Gamlett Rider (abt 1605-1695), my nine times great-grandparents, as well as through my nine times great-grandparents Thomas Pratt (abt 1636-1692) and Susannah Gleason Pratt (b. 1636). This DNA match and I might only be connected through the Riders or the Pratts, or both, rather than the Fullers. Of course, all the connections—the Fullers AND the Porters AND the Riders AND the Pratts—could be valid. Right now, I just don’t know. To further complicate matters, there are chances for false positives and coincidences in DNA testing. Maybe there are false positives and coincidences among these twelve DNA matches, but if there are, I highly doubt all twelve fall into those categories. The DNA test results don’t prove how I’m related to these people. But in the end I lean toward the idea that twelve DNA matches are enough, even if some are wrong, to support my relationship to the Mayflower Fullers. I still don't have rock solid evidence, by any means. But somehow I’m related to those matches. At this point the Fuller way seems as valid as any other way. Postscript: I was surprised to find that one of the DNA matches in the list who claims descent from Matthew Fuller is also connected to me by marriage in another line. Judith (last name unrevealed for privacy reasons), the ten times great-granddaughter of Mayflower passenger Edward Fuller, who is also my tenth cousin once removed on my father’s side, was the niece of the wife of Ninja John Herttua (1897-1935), my first cousin three times removed on my mother’s side. As I mentioned in a previous post, I took an autosomal DNA test recently and was curious and excited to find out where the results would lead me. Since I took the test, several genealogical websites have provided me lists of DNA matches to other people. The first three names on the list of matches that Ancestry.com gave me were all names of cousins I already had on my family tree, all three on my mother’s side. One of these cousins I’ve never met, but the other two I’ve met in person and enjoyed spending time with. But that was nearly where the navigable connections stopped on my mother’s side. I’ve been able to laboriously sift through my DNA matches and add a number of previously unrecorded relatives to my father's side of the family tree. But discovering new connections to my mother’s side through DNA matches is nearly impossible. My mother is of Finnish descent. Three of her grandparents—Matti Hietanen, Jr. (1883-1921), Edla Sussana Salo Hietanen (1884-1961) and Mattias Vihtori Stuuri (1888-1981)—were born in Finland and immigrated to the USA as children. Her fourth grandparent, Wilhelmina Elizabeth “Minnie” Hirvi Stuuri (1890-1946), had parents who were both born in Finland and immigrated to the USA as young adults—Wilhelm Heikkinpoika “William” Hirvi (1865-1949) and Wilhenmina “Minnie” Oberg (1865-1945). 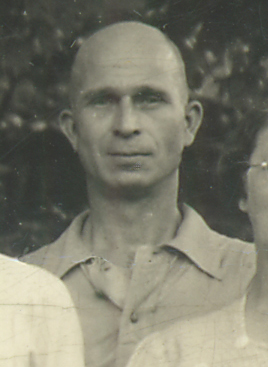 Thanks to extensive international research by other family members, especially my cousin Bob Hietanen, the ancestry of my great-grandfather Matti Hietanen, Jr., is known to a great extent. Other cousins, particularly Jaakko Heinimäki, have provided a lot of ancestral research on my great-great-grandfather Wilhelm Hirvi. (These are my sources for the information that I’m a direct descendant in two lines from sixteenth-century Finnish freedom-fighter Jaakko Ilkka.) But for the rest of my Finnish lines I only know a few generations earlier than my great-great-grandparents at best. I’d hoped that my DNA test would help reveal more of my Finnish relatives and forebears. But there turns out to be an obstacle I didn’t expect. Up through the nineteenth century the Finns had an unusual custom. The surname of a Finnish family was the same as the name of the family’s farm. When a family moved from one farm to another, the family changed its surname to match the new location. This makes genealogical research based on surnames maddening. This custom is evident in my family tree. For instance my nine times great-grandfather Heikki was born with the last name Punkari in about 1606. At some point he moved, evidently to the Reini farm, and gained the last name Reini. His son Yrjänä, my eight times great-grandfather, was born with the surname Reini about 1660. Evidently he moved about 1685 to the Karhu farm and took that name. His son Esaias, my seven times great-grandfather, was born there about 1704 and evidently remained living there, since he retained the surname Karhu. In Finland during those days, if a man married a woman and moved to her home, the man took his wife’s last name, since that was the name of the place where he now lived. That’s what happened when my five times great-grandfather Elias Matinpoika Karhu (1760-1809), who was born with the surname Kujala, married my five times great-grandmother Margareta Andersintytär Uhmusberg (1765-1846). For a few generations after that, this line of the family kept the surname Uhmusberg (pronounced Oomsperry), until my great-great-grandfather Matti Juhonpoika Uhmusberg (1857-1915) ended up with the surname Hietanen. Matti Juhonpoika Uhmusberg Hietanen (1857-1915). What prompted that name change? No one’s completely sure. But other family researchers have proposed what seems a likely reason. 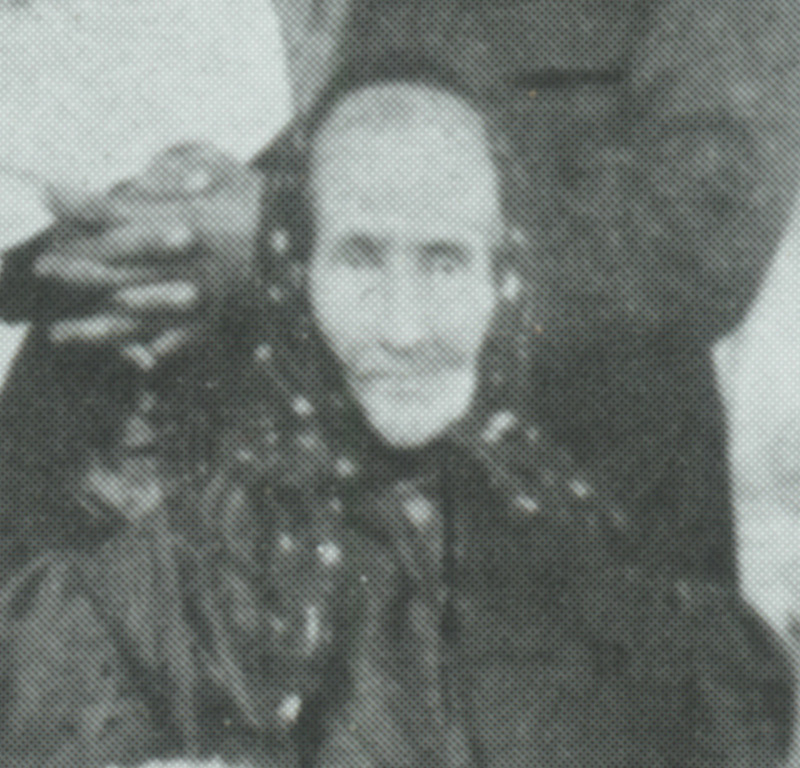 In 1881 Matti Uhmusberg’s elder sister Maria Uhmusberg (1856-1935) married Jaakko Hermanninpoika Aittanen and moved to the Renko farm where there was a cottage named Hietanen. It’s possible that Matti at one point lived in the cottage on his sister’s farm and took the surname Hietanen from the cottage before he emigrated to the USA in 1887. Comparing family trees to find common last names among ancestors is the main way to figure out how I’m related to other people who match my DNA. I’ve found a couple family trees of DNA matches that have names and dates corresponding to names and dates on my mom's side of my family tree. If I can trust their research, I believe that I’ve found our exact lines of connection. But finding the line of connection for a DNA match on my mom's side is rare. The custom of changing last names among the Finns makes it anywhere from difficult to impossible to figure out my connections to DNA matches who have Finnish last names or Finnish backgrounds. Complicating the last name problem is the fact that a Finn whose last name appears in my family tree might have no connection to my family. That person—or an ancestor—might simply have once lived on the same farm as my ancestor. Juuso Hietanen, the Finnish ice hockey star in the 2014 Sochi Olympics, has the same last name my mother grew up with, but he's probably no relation to me. All my Finn lines come through the Finnish towns of Ylistaro, Kortesjärvi, and Isokyrö, and my maternal grandparents and great-grandparents were all from Fairport Harbor, Ohio. When I find a DNA match who lists an ancestor who was born, married, or died in any of those places, I feel as if we’re oh-so-close to connecting. Is that name a sister, a brother, a cousin, or some sort of blood relation of one of my Finnish ancestors? I long to make the connection, but the name of a town isn’t enough. Without more information, there’s no way to do it. Like Tantalus reaching to pick a luscious fruit in Hades, I can’t reach far enough. The branch is always just beyond my grasp. It’s not as though my DNA results haven’t listed many people of Finnish descent who are related to me. There are plenty of them—with ancestors named Myllykoski and Walkkila, Niemi and Luoma, Sillanpaa and Rintamaki, and more. But they’re like puzzle pieces that don’t quite fit together. These puzzle pieces are lying in plain sight, and I’m sure they’re pieces from the same puzzle I’m working on. But the pieces that connect them are missing. Maybe one day DNA research will be able to pinpoint connections among relatives with much more accuracy. But until that day, I'll just have to live with the frustration. Having grown up in a politically conscious family with a deep interest in history and books, I was very excited to discover a hitherto unknown branch of my Kirkpatrick family tree several years ago. This branch has proved to be extraordinarily rich in detail about our earliest years in America (our Kirkpatricks arrived in Newcastle, Delaware, in 1736). By the time we get to the first and second generations born on this side of the pond there are many surviving letters, journals, portraits, and even a good number of books (collected sermons, family histories, and a handful of novels!). Clearly there is a lot to blog about. But as I don't have a lot of time today to introduce the entire Kirkpatrick family, I will instead introduce you to my cousin, the Congressman. 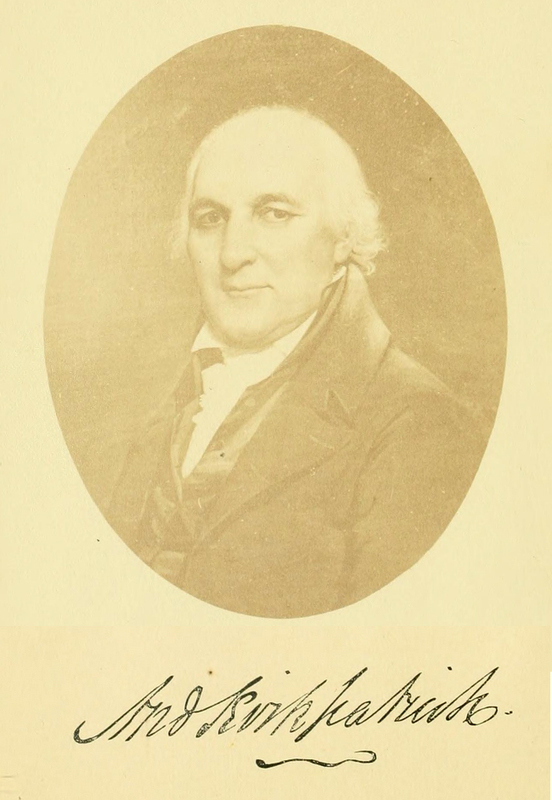 Littleton Kirkpatrick (1797-1859) was elected to the U. S. House of Representatives from the state of New Jersey in 1843. He is my second cousin, six times removed. He was a Democrat. While he only served one term in Congress he continued to be very involved in New Jersey politics. He was Mayor of New Brunswick, New Jersey, from 1841 to 1842, and served as a trustee of Rutgers College from 1841 until his death in 1859. Littleton was born October 19, 1797, to Andrew Kirkpatrick (1756-1831) and Jane Bayard Kirkpatrick (1772-1851). This Andrew is my first cousin, seven times removed. 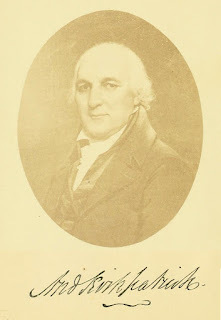 At the time Littleton was born, Andrew himself was a member of the New Jersey State Assembly - and three months after Littleton was born, Andrew was appointed a Justice of the New Jersey Supreme Court. Six years later Andrew became Chief Justice, a position he held for the next twenty-one years. His portrait can be seen at right. Littleton's mother, Jane Bayard Kirkpatrick (1772-1851), had come from an important Washington, DC, family, and was a well-educated woman. She kept a journal (big chunks of which survive) for much of her life. And after her death a selection of her writings was published which included a novella, The Light of Other Days (1856). Alas, while I have found a portrait of Littleton's father I have not found any paintings or photographs of Littleton. One would think such must exist. But I did recently acquire a letter signed by him, which I will share below. 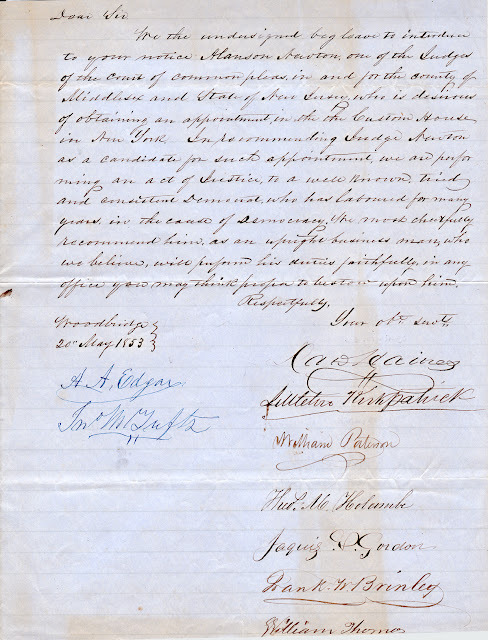 We the undersigned beg leave to introduce to your notice Hanson Newton, one of the Judges of the court of common pleas, in and for the county of Middlesex and state of New Jersey, who is desirous of obtaining an appointment in the Custom House in New York. In recommending Judge Newton as a candidate for such appointment, we are performing an act of Justice to a well known, tried and consistent Democrat, who has laboured for many years in the cause of Democracy. We most cheerfully recommend him, as an upright business man, who we believe, will perform his duties faithfully, in any office you may think proper to bestow upon him. I've tracked down a few of the other signers: A. A. Edgar was a member of the Board of Health, and member of the New Jersey State Senate. Frank W. Brinley was the "Collector of Customs." Other unidentified names are: John M. Tufts, Thos. M. Holcombe, Jaquis H. Gordon, William Thomas, and a Mr. Haines (first name indecipherable) who boldly signed above Littleton's name. But the most interesting other signature belongs to William Paterson (1817-1898), who signed directly below Littleton. His grandfather, William Paterson (1745-1806), was a signer of the U. S. Constitution as well as New Jersey's first U.S. Senator, second governor of New Jersey, and a justice on the U.S. Supreme Court (appointed by George Washington in 1793). And Paterson, New Jersey, is named after him. The Connections between the Paterson family and Kirkpatrick family began early. Littleton's father, Andrew, had studied law in the office of the elder Paterson. The two families seem to have remained good friends. And, in turn, the William Paterson grandson (who signed the above letter) studied law in the offices of Littleton Kirkpatrick. He was admitted to the New Jersey bar in 1838. He was elected to the state Assembly in 1842 and 1843. In 1847 he became Deputy Director of the Internal Revenue, and again in 1857. In 1882 he was appointed Judge of the Court of Errors and Appeals of New Jersey, a position he held for seven years. From 1846 to 1875 he served as Mayor of Perth Amboy. While I have found no family connection to the Paterson family, it is this rich tapestry of historical connections that makes me so fond of this branch of the family. So much more to explore! For my Kirkpatrick cousins who are reading this blog and are unaware of how we connect to this branch of the family, here it is in a nutshell: Alexander Kirkpatrick (1685-1758) immigrated to America in 1736. He is my seven times great grandfather. He brought his three young sons with him: Andrew (1720-1790), David (1724-1814), and Alexander (n.d.). Son Andrew (1720-1790) leads to my branch; Son David (1724-1814) leads to Littleton's branch - indeed Littleton was David's grandson. Littleton's and my common ancestor is Alexander Kirkpatrick (1685-1758) making Littleton my second cousin, six times removed. Betsey Elizabeth Marshall Patterson Grant (1818-1912), circa 1904. I recently had my DNA tested in order to help with genealogical research. The impetus for this decision started when I was contacted through this blog—click to read the specific post—by a woman possibly related to my Marshall line. She has the text of a will made by her earlier relative Seth F. Marshall. 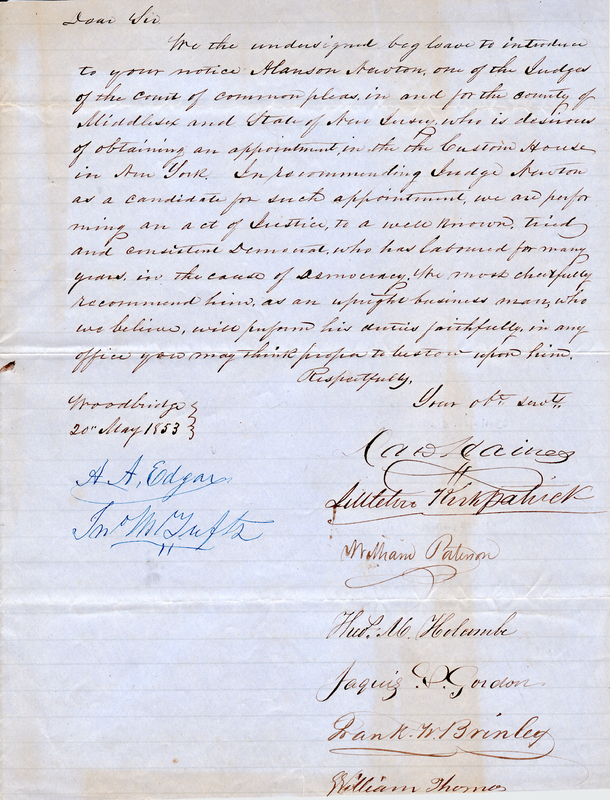 Mentioned in the will are the names George Marshall, Nathan Marshall, Silas Marshall, and Betsey Grant. I got excited. Betsey Elizabeth Marshall Patterson Grant (1818-1912) was my great-great-great-grandmother. George, Nathan (1823-after 1900), and Silas (1828-1907) were her brothers. 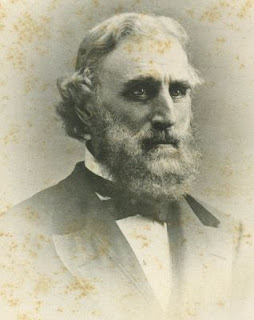 I had never heard of Seth F. Marshall (1823-1856) before, but if he mentioned my Marshall relatives in his will, there was a good chance of his being my relative, too. The relative who contacted me wondered if I could provide any assistance in learning who the parents of Seth F. Marshall were. Unfortunately, I couldn’t help. I have plenty of information on Betsey Marshall Grant’s mother, Polly Rider Marshall (1793-1870), and her ancestors. But information on Betsey Marshall Grant’s father, William Obadiah Marshall (1784-1854), is scarce. What little there is remains difficult to verify. But the probable connection between Seth F. Marshall and my Marshall line was too tantalizing to let rest. The contacting relative and I proposed the possibility that Seth was a first cousin to Betsey and her brothers, that Betsey’s father William was a brother to Seth’s father (name uncertain but possibly John or Charles). But we had no proof of this and no way to test the hypothesis. The contacting relative and I each had pieces of the puzzle. How could we fit the pieces together? One possibility was DNA testing. The contacting relative has DNA information from a 92-year-old cousin. If someone descended in my Marshall line turned out to be a DNA match to that cousin in her Marshall line, then that would support the family connection implied by Seth F. Marshall’s will. And who knew how many other questions might be answered by DNA? I’d previously considered having my DNA tested, but since I didn’t have much concept of what the results might be and because none of the tests are particularly cheap, I hadn’t bothered. But now here was a solid reason to take the test. I realized the results might not answer our questions about our Marshall relatives. But even if they didn’t, the results might give me answers to other family research questions beyond the Marshalls. So I took the test. The one I chose was the autosomal DNA test offered by Ancestry.com since the contacting relative’s DNA info was all through Ancestry.com and she would be able to view my results there. The test isn’t difficult. I ordered the simple kit from Ancestry.com. When the kit arrived I spit into the tube, mailed it back, and waited about six weeks for results. The results were not everything the contacting relative and I hoped they would be. Ancestry.com reported hundreds of matches between my DNA and the DNA of others. Ancestry.com gives a very general range of relationship, but figuring out my exact lines of connection to those others is up to me. It’s time consuming, sometimes frustrating, and often fruitless. I have to search family trees of the reported DNA matches to find names that might also be in my family tree. Many times there are no matches—either because our areas of research are different or because the genealogical information gathered by either side is wrong. Yet I’ve found enough connections to DNA matches that I think the autosomal DNA test was worth doing. But what about the Marshall connection? Well, the DNA test did not find a match to the DNA of the 92-year-old cousin of the contacting relative. But the DNA results of another Marshall cousin of hers showed up as a match to me. I don’t know why my results didn’t match her 92-year-old relative, but the one successful match was exciting news. So great! We have some scientific supporting evidence that she and I are related through the Marshalls. I just don’t know where to go now with that information. We still don’t know who Seth F. Marshall’s parents were or exactly how Seth was related to Betsey and her brothers.